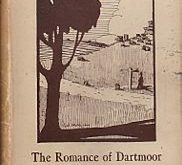 Samuel Wills was a one-time teacher at Leusdon School near Widecombe and was the author of a book of poetical works called, ‘Musings in Marsh and Stream‘ in which several Dartmoor related poems appeared. Wills has been noted for his descriptive poems especially ones relating to his native Devonia. Somewhat to change their life’s monotony. Some sportive measure in a neighbouring grove. Or pathless glen, and watched the cataract’s leap. Bestowed a loveliness to darksome nights. A moment seen, but fled the next away. Though by the noble bard too long unsung ! And scath of storm for ages they have stood. And whirring wings o’er waste and waters float. The screaming hawk his eyrie sails around. When mighty tors the tempest fierce assails ! To front the fiend as he his standard rears. When with delight were clothed the dales and hills. Fell startling on the ear, with cluck and crow.